This auction is for the actual blue jersey worn by #11 Kevin Porter. 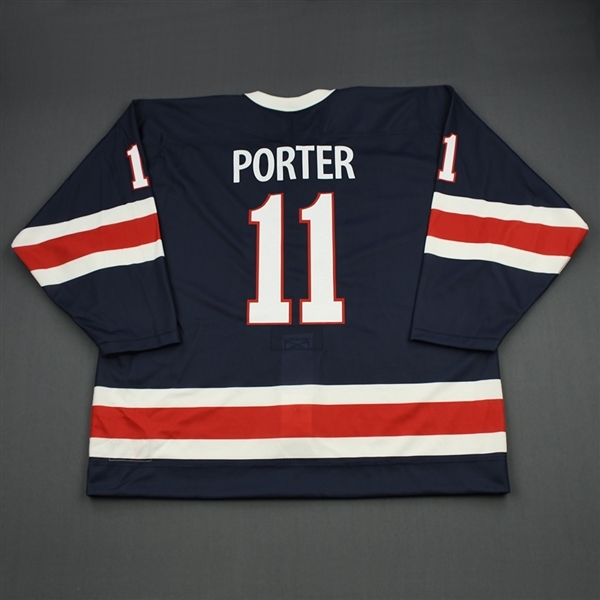 Porter had 2 assists in the game. 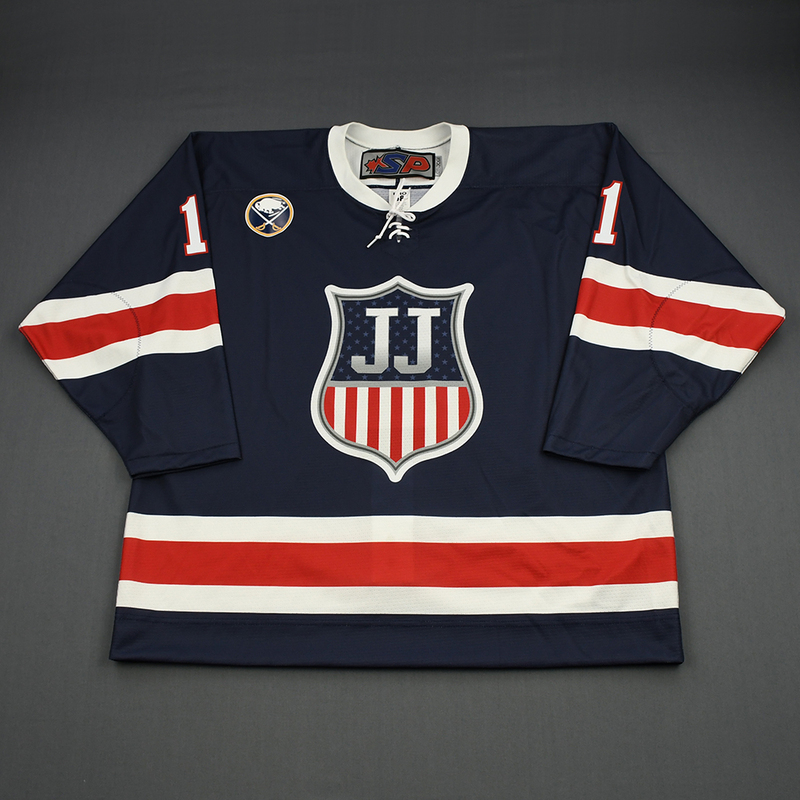 He plays for the Rochester Americans in the American Hockey League, and is property of the Buffalo Sabres. 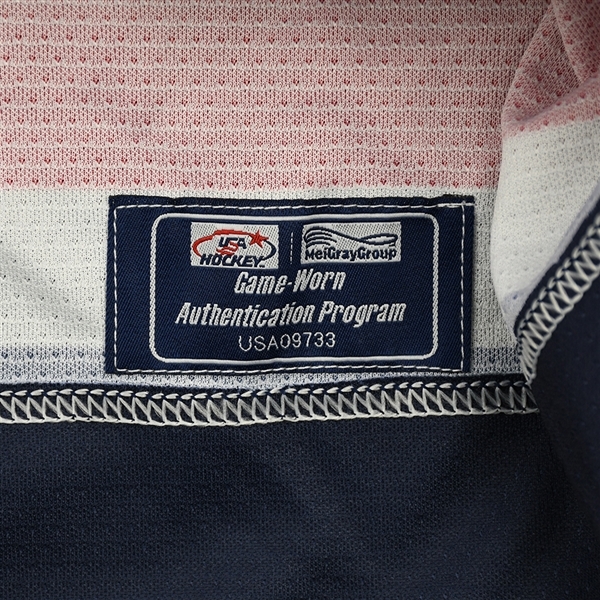 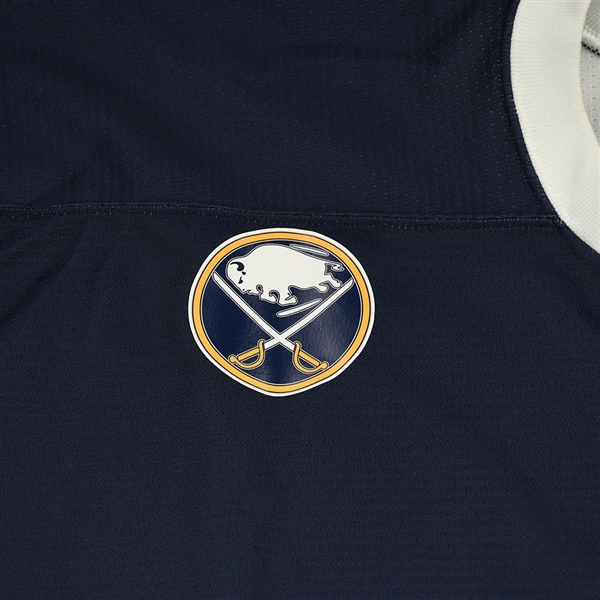 This jersey, a Size 58, has been registered in the USA Hockey-MeiGray Game-Worn Authentication Program as number USA09733.